If this doesn't prove that pistons and big bangs still have their place in racing, we don't know what will. As part of the quantum shift to turbocharged 'high-efficiency' engines for the 2019 season of the Deutsche Tourenwagen Masters championship, Audi has halved the size of their racing engine but have ended up making more power, something we also saw when Formula 1 downsized to 1.6-litre engines. Going down to a 2-litre in-line four-cylinder, from a 4-litre V8, has seen peak power go up to over 610PS, an increase of 100PS over the bigger engine. Audi is the first of the three engine manufacturers in DTM to release specifics for their new engine, but we expect BMW and Aston Martin to post similar figures. The move to turbocharged engines is not just for speed, it's also to showcase efficiency. 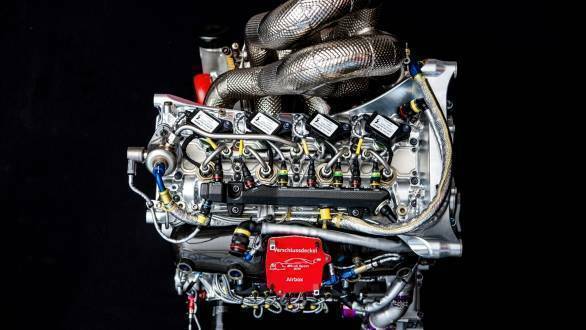 These custom racing engines are now bound to use not more than 95kg of fuel, per hour of racing. And while we don't have a direct metric to relate that figure to, Audi says this engine's specific consumption figures are getting close to those offered by a diesel. This from an engine that revs to 9,500rpm! A push-to-pass functionality is also new for 2019, which provides an additional 30PS of power to help the 2019 Audi RS5 DTM overtake its rivals. In comparison to the 1.6-litre V6s in Formula 1, which rev to 15,000rpm, are limited to 100kg of fuel per hour, and make about 715-790PS with 150PS available as overboost, the new DTM engines stand as quite the benchmark for saloon racers. The new engine is also light, weighing in at just 85kg! Compared to the road-going 4-litre V8 at 220kg which was tuned for race use in previous seasons, there's a huge weight saving in here. 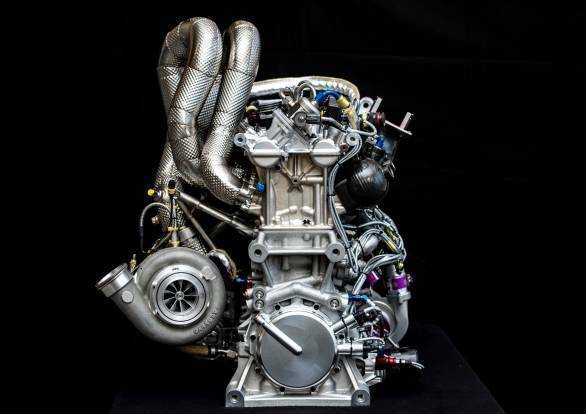 Ulrich Baretzky, head of engine development at Audi Motorsport, says this engine holds a few novel approaches that can be incorporated by his counterparts in production development, considering a 2-litre in-line four production engine weighs between 129-144kg. Though it has structural similarities to Audi's TFSI production engine, this pure race engine with direct injection has been built to last a full season of racing, with a service interval of 6,000km. And while that isn't acceptable for a road car, just imagine how much development on this engine will eventually find its way back to a road car from the VW Group. Perhaps an Audi TT with 500PS, or a lighter, more affordable R8? Or even a high-output-from-factory evolution of the EA888 1.8-litre TSI (in the Skoda Octavia RS, for example) we all know and love. Let's keep our fingers crossed. 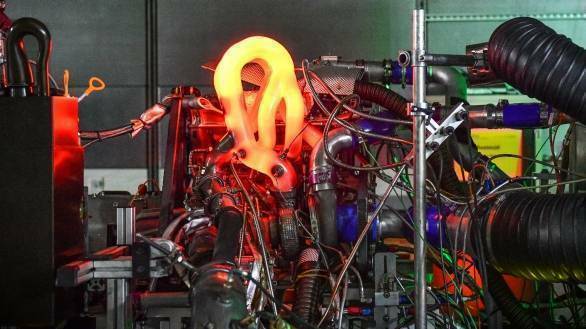 Audi's new 2-litre race engine makes 610PS! Audi's new 2-litre race engine makes 610PS!